Get ready to feel the magic as Wanderland Festival is back! For its 7th year, Globe and Karpos are taking it to the next level by making it a spectacular 2-day event. With the theme “Magic”, this year’s festival features a good mix of seasoned and up-and-coming artists who will gather together in the country’s biggest showcase event for music and perform in front of an expected throng of people with distinct musical tastes. 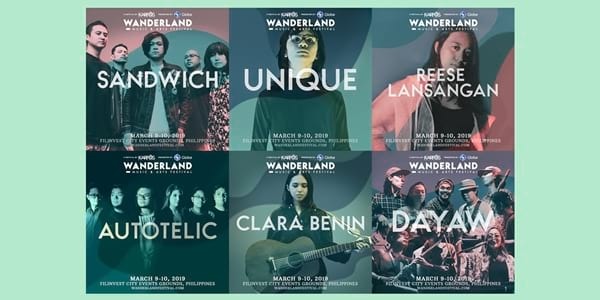 Wanderers, get to know some of the best Filipino musicians who will take the stage at #GlobeWanderland on March 9-10, 2019, at the Filinvest City Event Grounds, Alabang. 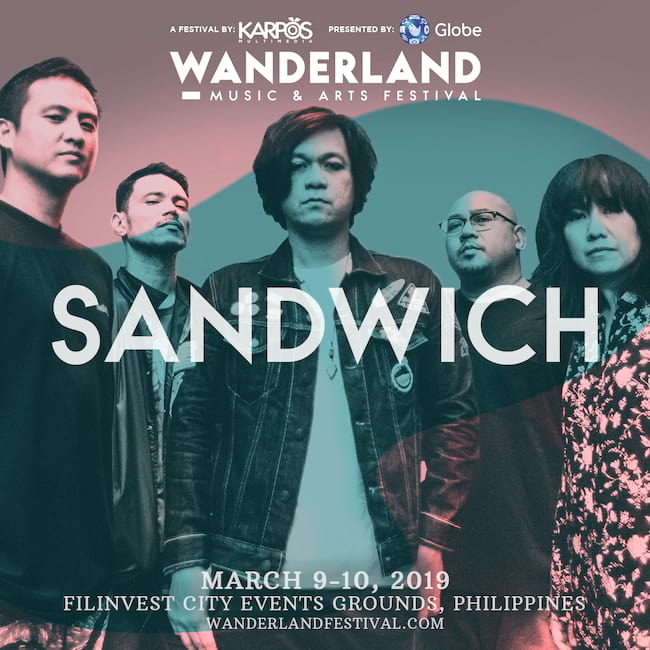 This Filipino alternative rock band counts Raimund Marasigan (formerly of the Eraserheads) as its front man, with Diego Castillo and Mong Alcaraz as guitarists, Myrene Academia as bassist and Mike Dizon as drummer. They became popular with their songs “Butterfly Carnival”, “Sugod”, and “DVDX”. They won Best Performance of a New Duo or Group Recording Artist at the Awit Awards 2000 and at the NU Rock Awards 1999 as Best New Artist and Song of the Year for “Butterfly Carnival”. Eighteen-year-old Unique Salonga is a songwriter, vocalist and original lead singer of IV of Spades, which won as New Artist of the Year at the Myx Music Awards. After leaving the band, he released his debut single “Midnight Sky” last year and also his debut album Grandma. Reese’s Arigato, Internet! is her debut album 4 years ago shortly after her participation at the Elements Music Camp. All 13 original songs in the album were written by Reese herself. 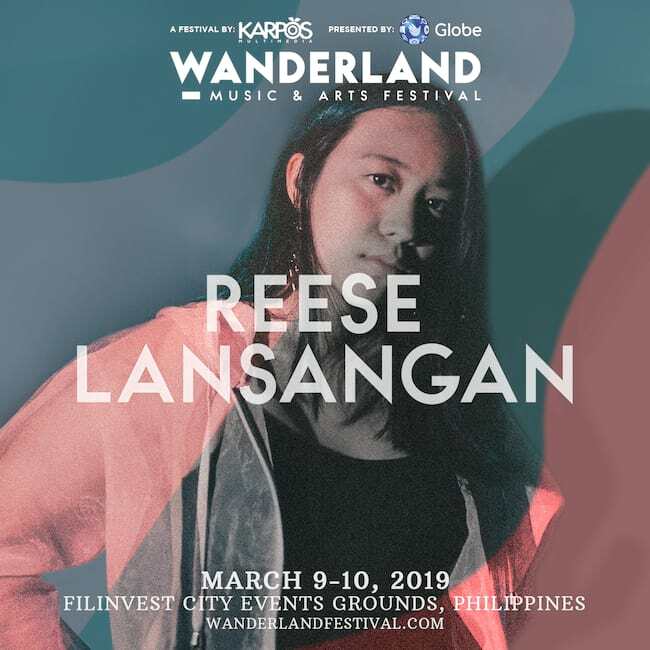 She followed this up with the Of Sound Mind & Memory album in 2017, with all tracks written by Reese, who is also a visual artist, graphic designer, fashion designer and author. 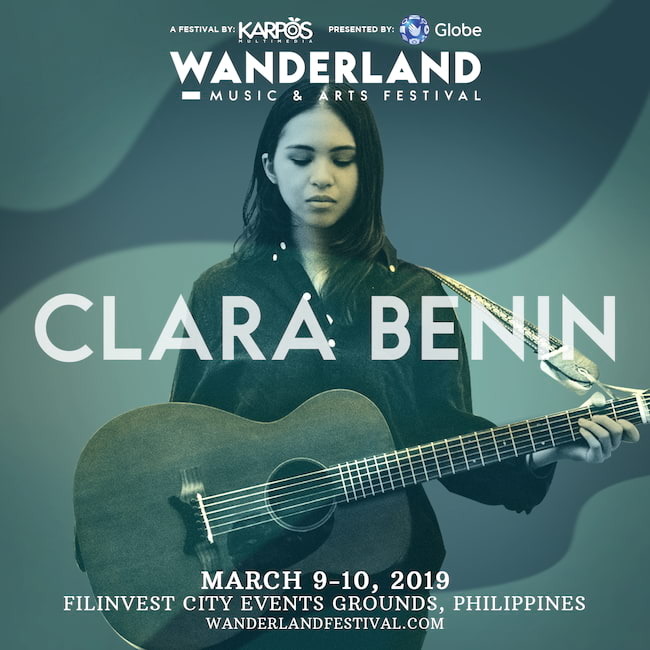 Indie, folk and acoustic musician Clara Benin was also part of the Elements Music Camp just like Reese Lansangan. She interpreted the song “Kung Akin ang Langit” with Mcoy Fundales at the 3rd Philippine Popular Music Festival (PHILPOP), which won the Spinnr People’s Choice Award. 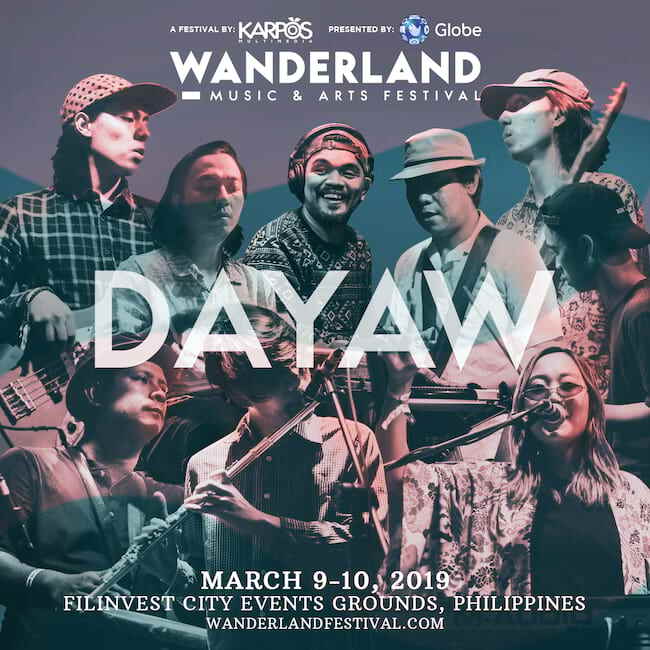 Dayaw plays a diverse selection of music ranging from worldbeat, jazz, and rock that will definitely stay with you. The band’s members are not only diverse in their musicality, but also a passionate creed to let the whole world hear their brand of music. Members include Sensi Oñate, Aying Sayson, Royce Baronia, Kaloy Aganinta, Ryan Barros, Al Raja Oñate, Dale Adeva, Luis Aganinta, Iwag Maninantan, BJ Malibunas and Gav Sabalburo. These artists performing at #GlobeWanderland prove that there’s plenty to love in the local scene! 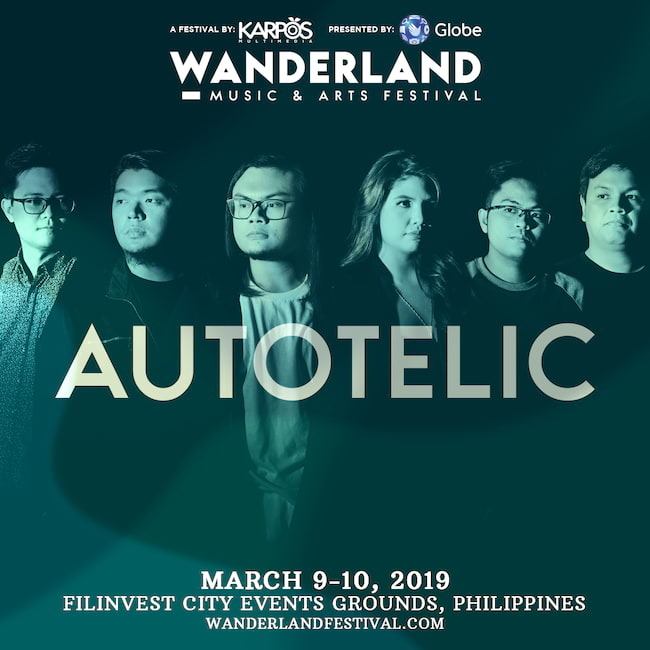 They’ll be joining foreign acts such as Two Door Cinema Club, The Kooks, Honne, Masego, Alina Baraz, Clairo, JMSN, SG Lewis, Mac Ayres, Charlie Lim, and Adoy. Globe has already evolved from being just a service provider into being the purveyor of Filipinos’ digital lifestyle by providing relevant and innovative products and services that go beyond access to support customers’ interests and enrich their lifestyles. For many Filipinos, music is a foremost passion so Globe has already made significant headway in giving its customers both online and offline music experiences through Spotify, YouTube, Wanderland, Coldplay, Madonna, Harry Styles, and most recently, BLACKPINK. Seek the magic and make it matter with the #WanderlandCommunity! To make Wanderland a magical experience for everyone, be sure to observe proper festival etiquette. Smoke in designated areas only, throw and segregate your trash properly, don't bring any illegal drugs or pills, and drink responsibly. Take note of which items not to bring - monopods and tripods, DSLR cameras, sharp objects, bikes, scooters, folding chairs, pointed umbrellas, and outside food and drinks. 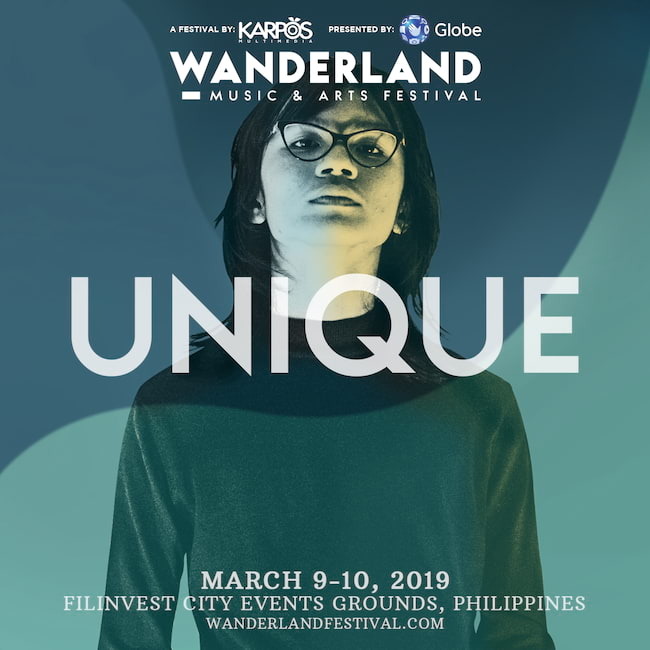 Watch the official Festival Etiquette video from Globe and Karpos! Stay updated on the different ticket promos by visiting globe.com.ph/go/events/globewanderland or following Globe on Facebook and Twitter.